We are a leading Exporter of rat / rodent net from Mumbai, India. Rat/Rodent Net is made of High-Grade Stainless Steel Wire. It has a very high tensile strength to withstand atmospheric pressure and is best suited against rusting in Indian Weather conditions. 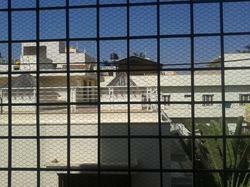 This Stainless Steel Net can be installed which can take care of Rats-Rodents as well as Pigeons.